Behavioral design patterns are design patterns that identify common communication patterns between objects and realize these patterns. By doing so, these patterns increase flexibility in carrying out this communication. The music of Pattern Behavior (Raab Codec and Elizabeth Virosa) finds patterns of uncommon elements and brings them together to create flexible and deep sound objects then molds them into new forms of sound. Since forming in 2013, Pattern Behavior has found and identified sounds and rhythms covering a wide range of sonic territory while keeping a distinctive sound. 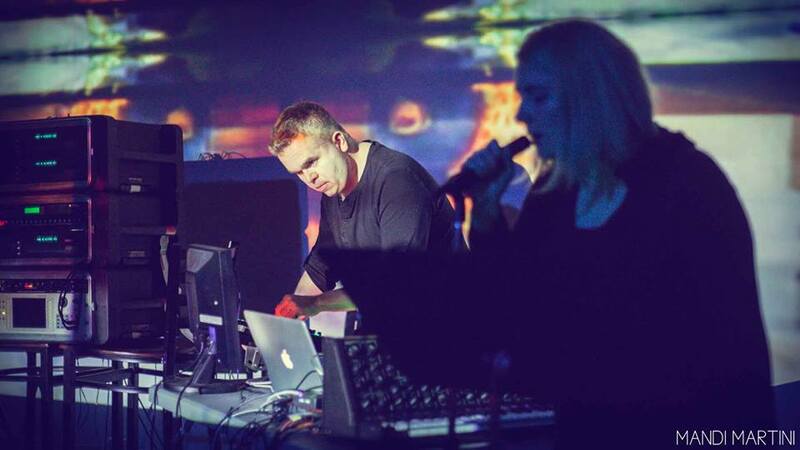 Their deft compositions explore regions of dark ambient, minimal techno and deep four on the floor dance floor bangers. Using modular synths, vintage analog equipment and digital algorithms they distort, manipulate and fold everything from found sounds to Ms. Virosa’s voice into weird and wondrous creations. Their latest work “Electric Minds” which explores themes of the cosmos, nature, society, the supernatural and technology. Using a Moog sub 37 as a central instrument, they create pulsating rhythms, while giving props to early industrial and synthpop influences. Pattern Behavior create heavy, hard-hitting music that digs deep into uncharted soundscapes and sonic realms.